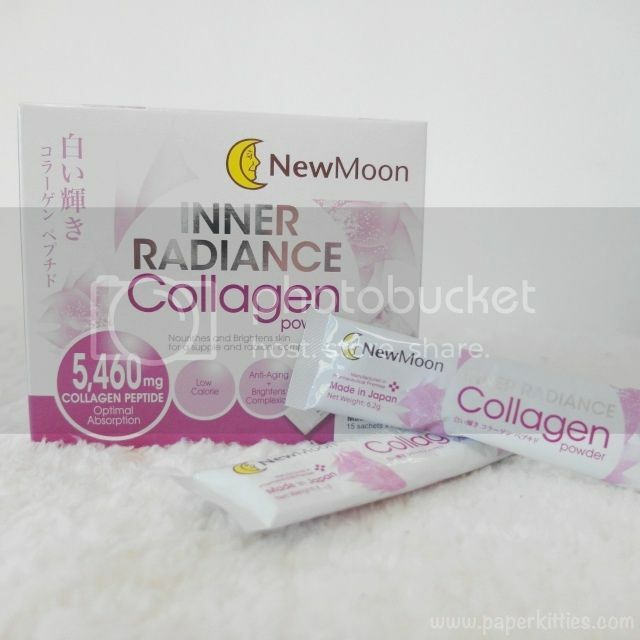 Prior to New Moon Inner Radiance Collagen powder, I’ve previously blogged about the launch of New Moon Inner Radiance Collagen Drink in April where more than 200,000 bottles were sold in less than 3 months!. It was popular with it being one of the collagen drink with the highest collagen dosage with whitening properties and sold extensively with good reviews from customers. 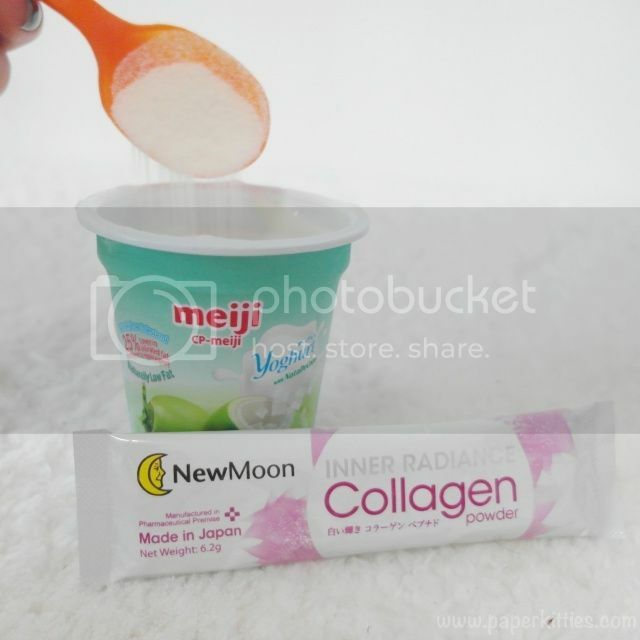 As I continute on my never-ending quest to beautiful skin, I’ve recently tried New Moon Inner Radiance Collagen Powder for an all rounded maintenance to better, healthier skin. 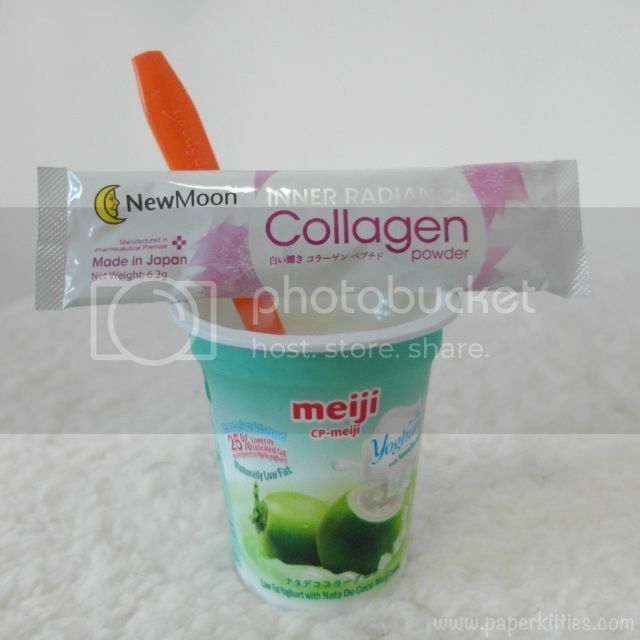 New Moon Inner Radiance Collagen Powder contains one of the highest collagen content of 5,460mg for powdered formula in Singapore, is low in calories and 0% fat with anti-aging properties and claims to nourish and brighten skin for a more supple and radiant complexion. Formulated and manufactured in Japan Pharmaceutical premise with high collagen content, low in calories with anti-aging properties aids to rejuvenate and enliven skin for a luminous complexion. But.. will it pass my test? I’ve tried consuming this healthy combo for two weeks and I’ve noticed my complexion to be brighter and clearer, I’m so impressed! I’ve also noted that it contains Lactobacillus (a type of probiotics), meaning that it help rejuvenates skin by enhancing growth of beneficial bacteria in the intestines. Which means that even if I decide to consume this collagen powder without mixing with yogurt, I will still have a balanced microflora in the intestines which in the long run will help clear up breakouts, for a blemish-free, radiant skin. Previous Post Holiday Inn Express IHG Members Exclusive! Next Post Paperkitties’ Top 10 Sun-Care for Summer 2015!